Casinos in Nevada and Atlantic City generally report their monthly revenue tallies within a day or two of each other, although Nevada’s figures are a month behind AC, which prompts a lot of jokes about how AC has far fewer dollars to count. Thanks to Hurricane Sandy, those jokes now hold even more relevance. 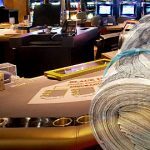 Nevada casinos just posted a respectable September revenue tally thanks largely to a record performance by its NFL sports pools. 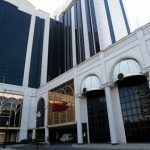 Meanwhile, Atlantic City casinos have revealed that October represented the largest monthly revenue decline in the east coast gambling hub’s 34-year history. 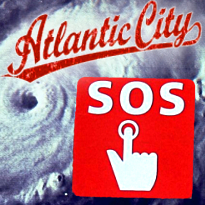 Sandy’s bluster caused AC’s dozen casinos to shut down for four days in October, which helped drive down gaming revenue by a whopping 19.9% to $209.4m. 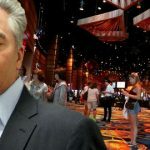 AC’s slots revenue was down 21.8% to $149.1m and table games fell 14.6% to $60.2m ($17m less than what Nevada earned from blackjack alone in September). Blinkered optimists are pointing out that October 2011 benefited from having an extra Saturday, but really, there’s only so much this turd can be polished. For the year-to-date, AC’s gaming revenue is off 6.2% to $2.7b. Looking at the individual casinos, gaming revenue at market leader Borgata fell 21% to $42m. Caesars Atlantic City was down 16.7% to $26.9m; Harrah’s Resort Atlantic City fell 18.3% to $26.6m; Bally’s Atlantic City tumbled 33% to $19.8m; the Trump Taj Mahal plummeted 38% to $18.6m; the Tropicana fell 21.4% to $16.1m; the Showboat fell 27.2% to $15.1m; the Atlantic Club was down 7.1% to $9.9m; Resorts Casino Hotel fell 25.3% to $9.5m; the Golden Nugget slipped 4.3% to $8.6m and the Trump Plaza fell 32.5% to $6.6m. 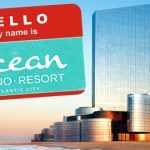 AC’s newest casino Revel lacks 2011 comparative figures, but its $9.3m haul represented the smallest in its seven-month history. 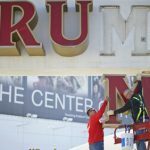 Since Sandy also prevented most casinos from reopening until Nov. 2 and the last casino didn’t reopen until Nov. 5, November’s revenue figures are also expected to take a hurricane hit. Worse, AC’s tourism industry bigwigs are reporting that business has been slow to return to the Boardwalk, which, they are keen to point out, was not washed away in the storm. On Sunday, the city will host a ‘Walk The Boardwalk’ charity event to raise money for Red Cross and Sandy relief efforts as well as to remind people that they’re open for business. On Monday, a “Can Do AC” ad campaign will ram home the ‘not dead yet’ mantra. Sandy is also getting blamed for a sharp decline in handle on this year’s Breeders’ Cup races. UK bookies may have done well off last weekend’s action, but Breeders’ Cup wagering consultant Ken Kirchner said stateside commingled handle fell 8.8% to $127.7m and some Saturday races were off as much as 25%. While some of the decline can be attributed to a 6.3% drop in this year’s total field size, the Daily Racing Form reported a 29% drop in account-wagering operations in New York, New Jersey, Maryland, Pennsylvania, Connecticut, Delaware and West Virginia while Sandy worked her magic. The New York Racing Association’s ontrack facilities and account-wagering platform was off 26% and some New York OTB outlets reported business down by over half. Truly, for gaming operators, Sandy both sucked and blew.